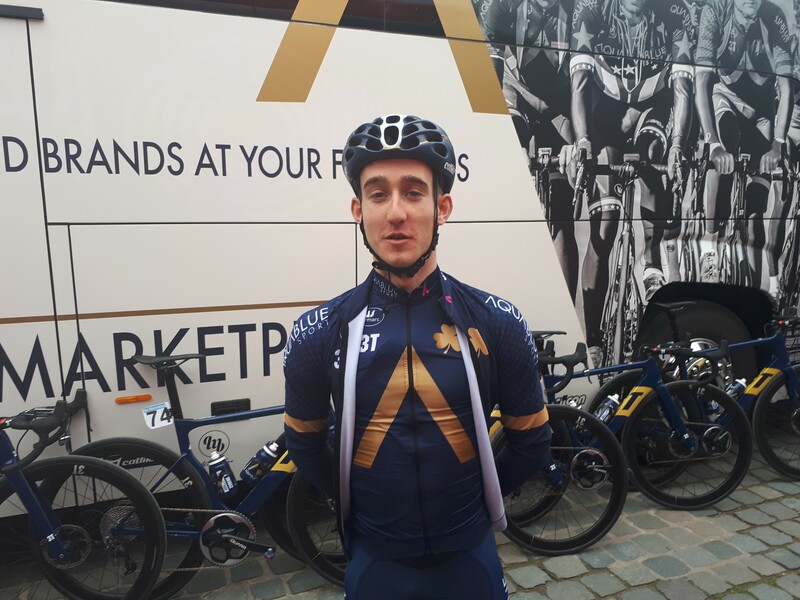 Eddie Dunbar put in an excellent performance at Amstel Gold Race today as he made it into the break of the day which was only caught as the race entered its closing stages. What makes his performance more remarkable is that it was not only his longest race to-date, but also his first WorldTour race. Alongside Dunbar in the break which went clear early on were Oscar Riesebeek (Roompot-Nederlandse Loterij), Tsgabu Grmay (Trek-Segafredo), Marco Tizza (Nippo-Vini Fantini), Preben Van Hecke (Sport Vlaanderen-Baloise), Bram Tankink (LottoNL-Jumbo), Matteo Bono (UAE Team Emirates), Lawson Craddock (EF-Drapac) and Willem Smit (Katusha-Alpecin). The group were given a significant amount of leeway and their lead stretched out to sixteen minutes at one point. 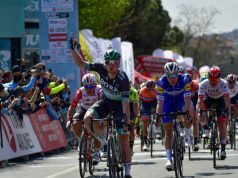 The bigger teams including Quick-Step Floors, Team Sky, Movistar Team and BORA-hansgrohe then worked to started to reduce the gap. As they entered the final fifty kilometres, the lead had been reduced to less than four minutes. On the Gulpenerberg soon after, Dunbar put in an acceleration which left some of his breakaway companions struggling. 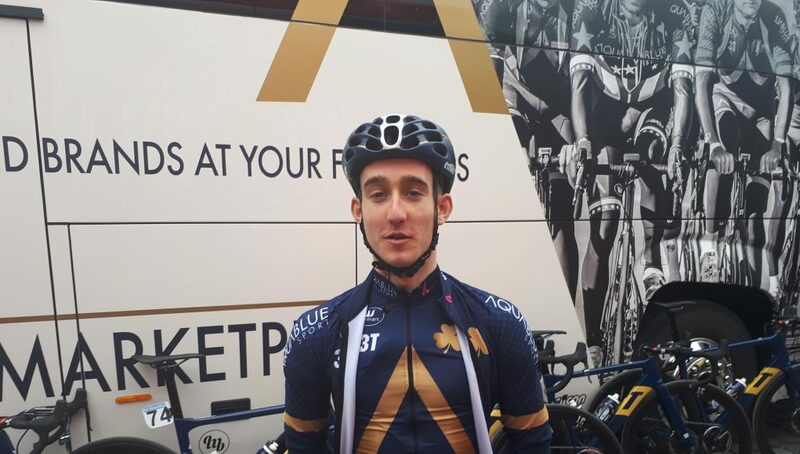 The Irishman looked comfortable at the head of the group, leading over the Eyserbosweg and Kruisberg as Tizza, Tankink and Smit fatigued and dropped back from the lead group. 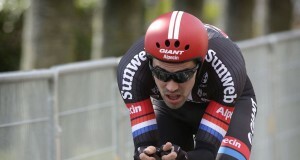 The break were eventually caught on the final ascent of the Cauberg with fifteen kilometres remaining as Dunbar dropped back. He was caught on the climb by a chase group including the likes of Alejandro Valverde (Movistar Team), Tim Wellens (Lotto Soudal), Julian Alaphilippe (Quick-Step Floors) and Peter Sagan (BORA-hansgrohe). Dunbar slipped back from this group but despite having spent the day in the break, still managed to hang on to finish with the bunch, which crossed the line just 3’26” behind race winner Michael Valgren (Astana Pro Team). 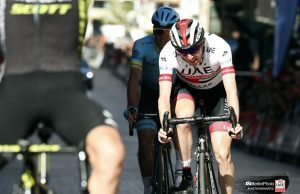 Prior to the race, the Corkman had said that he wasn’t fearful of the race distance and was relishing the opportunity of racing in WorldTour race. 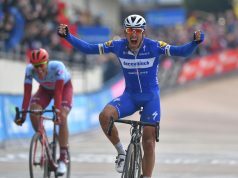 Following on from his fifth place in the Volta Limburg Classic at the end of March, today’s performance suggests once again that he has overcome the serious injury he sustained last season. Next up for Dunbar is Liège-Bastogne-Liège next Sunday.